I am quite sure Barcelona will be on your agenda. 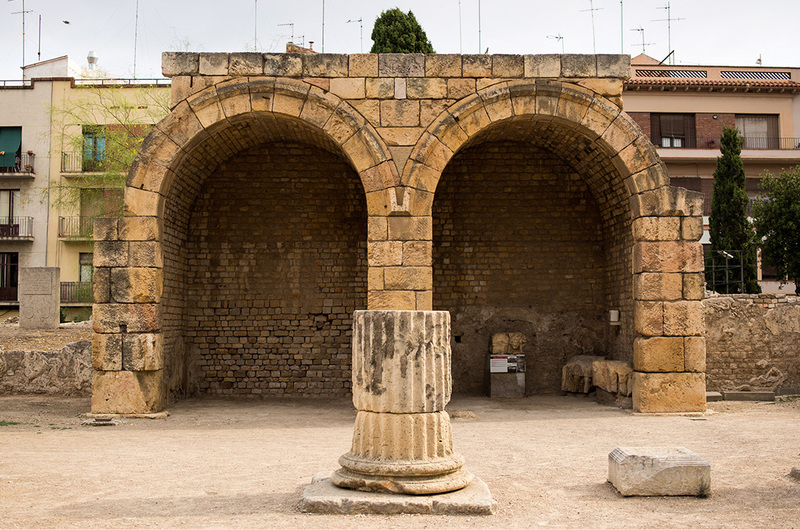 in the area: the city of Tarragona, the capital of the Roman province of Hispania Citerior during the Roman Empire and designated a World Heritage Site by UNESCO in 2000. 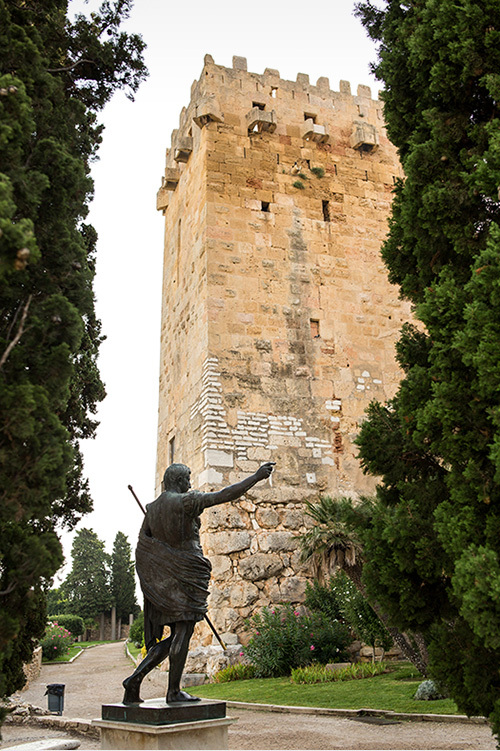 Tarragona is a mid-size city just an hour away from the brilliant (and obviously) very worthy Barcelona. 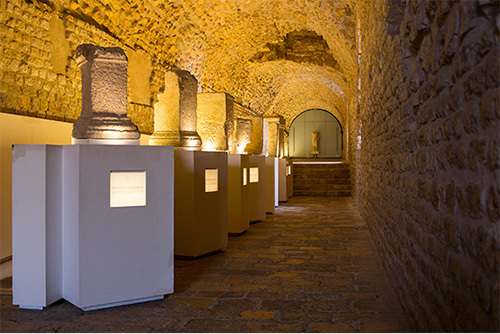 Thanks to its preserved ruins, Tarragona is a place where you can understand, enjoy and feel how the citizens of the Roman era lived years ago and how amazing this period was. 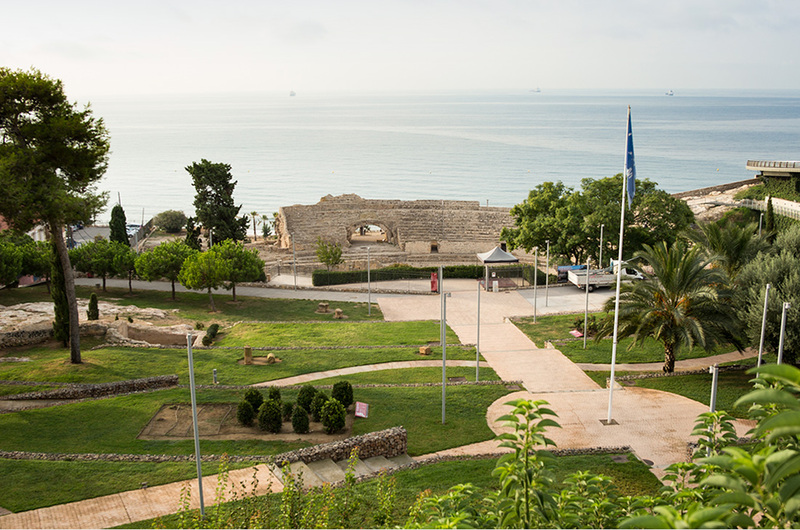 Since Tarragona is not a huge city you can visit most of its main historical attractions just in one day. I suggest you to get up early, take your camera with you (I will choose my Canon 5D Mark III with the Samyang 35mm f1.4 lens to get a perfect and really sharpen shot of all the ruins) and get ready to have a great day in Tarraco, the oldest Roman settlement on the Iberian Peninsula and the capital of the Roman province of Hispania Citerior during the Roman Empire. Go! 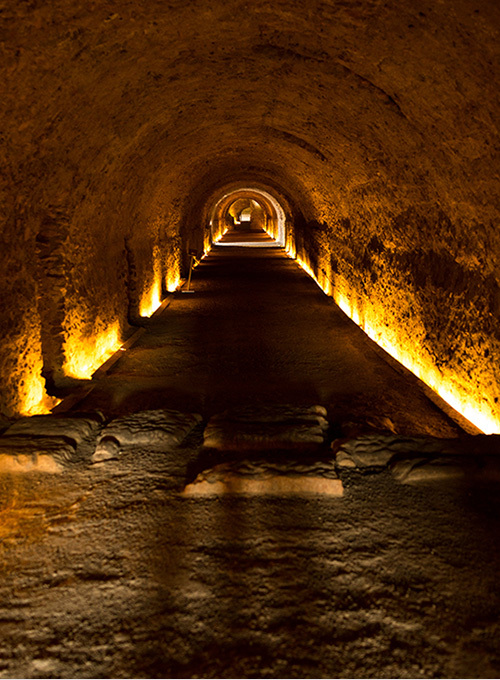 Let’s start our trip visiting the amphitheatre; maybe one of the most impressive preserved ruins in the city. 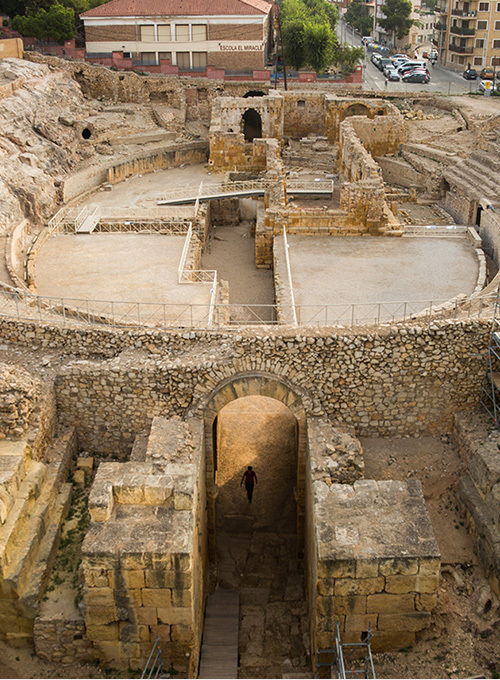 It had a capacity of 14.000 spectators and was the venue of gladiators and animals fights. 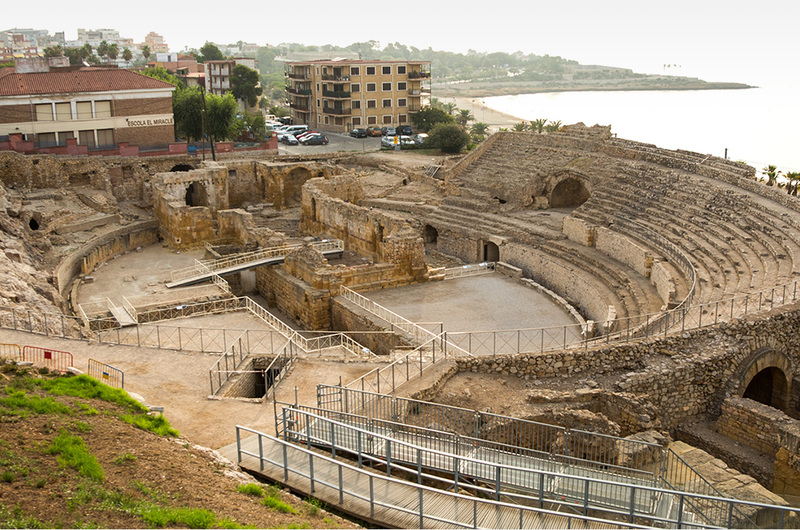 Due to its fantastic location by the Mediterranean Sea, the amphitheatre is probably the most popular photographic spot in Tarragona (I have to say that it is not my favourite one. I’ll let you know which one I prefer few lines below). Just five minutes on foot from the stunning amphitheatre we can find the Roman circus, the place where Romans celebrated the “quadriga” races and competitions (a “quadriga” is like a chariot drawn by four horses). 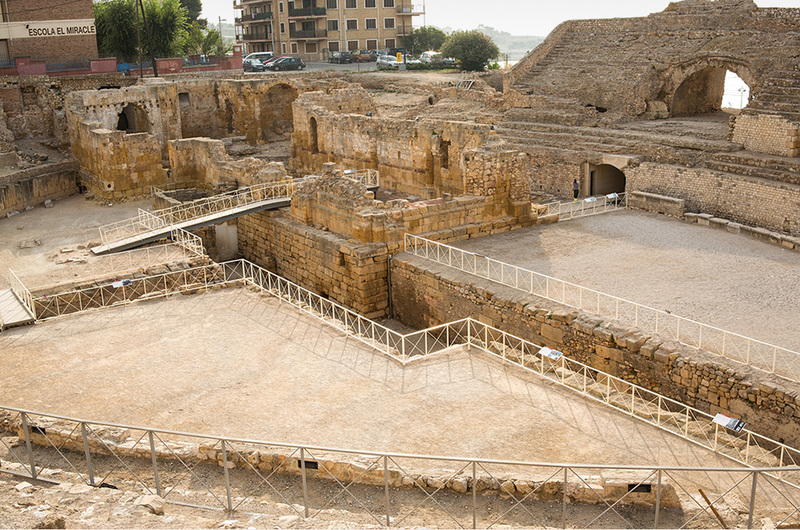 Although nowadays it is only preserved the top part of the circus, considering that the whole arena was 325 meters length and 115 width, we can try to figure out how big and spectacular was the whole place, occupied nowadays by the main square of Tarragona: the “Plaça de la Font”. 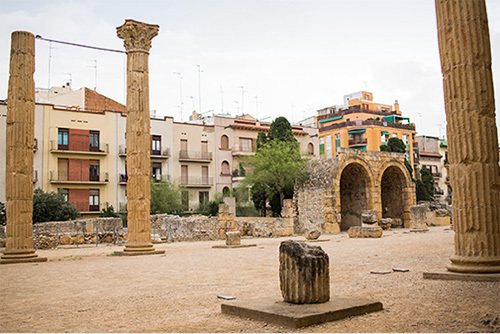 After visiting the underground corridors of the Circus (where you will be very lucky if you have a Samyang lens f1.4 as me) we get out to walk through the Plaça de la Font, exactly the place that many years ago hosted these Roman races. In less than ten minutes we arrive at the Roman Walls entrance. 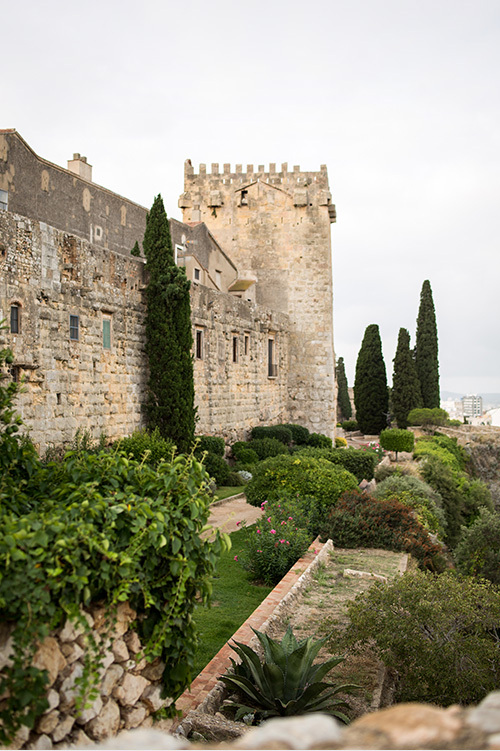 In this point, we are in front of the oldest and best-preserved walls of the Roman era in the Iberian Peninsula. We can enjoy then a nice walk by the walls just before having lunch; I guess you may be hungry then. 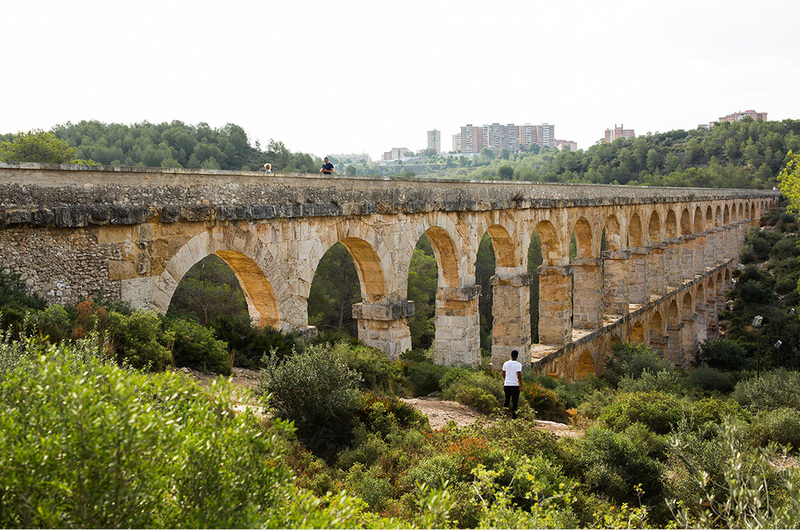 Finally, we will take the car to drive 4 kilometres north of the city to enjoy my favourite spot in Tarraco: the Roman aqueduct, known as “Pont del Diable (Devil’s bridge) or “Aqüeducte de les Ferreres”. This is an ancient bridge, part of the Roman aqueduct built to supply water to the ancient city of Tarraco and located in an amazing forest area where we will rest and wait to try to catch the sunset through the bridge. So that’s it, hope you enjoyed it. If I were you I’d be probably heading home then to edit all the pictures I took. I guess I’d have amazing footage considering I absolutely love the 35mm lens. 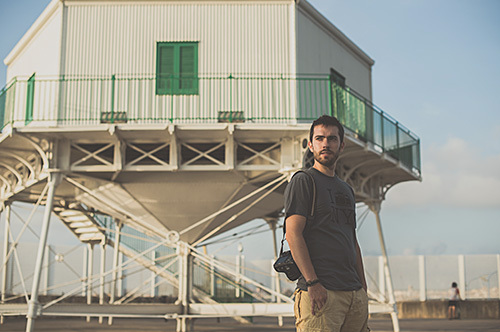 The Samyang f1.4 is perfect to do not lose any detail of places you visit, where sometimes you are dealing with some low light conditions and need to move from a more landscape photography to a more urban one.